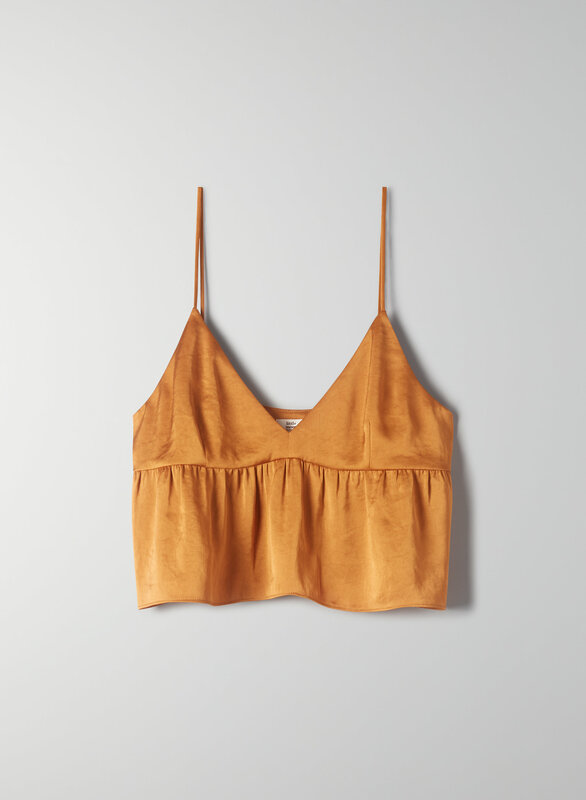 Like a regular cami, but cuter. This is a V-neck camisole with a flounced peplum waist, darting at the bust and an embroidered trim. It's made with a glossy Japanese satin.